A bit more about the Hotel we stay at during our visits. The least I could do for such excellent service. Frankly, accommodating 28 blokes on a beer festival visit takes a lot of courage! 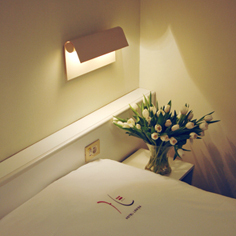 The hotel's location is right in the centre for Ostend's nightlife, yet not even a five walk to the seafront. 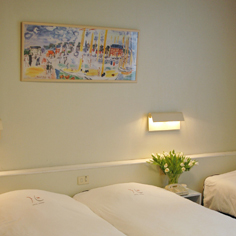 The rooms are quite spacious, clean and comfortable. There is a nice (quiet) bar and a vast 'breakfast' room. In the early days we had used a couple of the other hotels but once we came here we've not gone elsewhere (2005 is my sixth year) - You can book on-line via The Hotel Louisa Website. Location: Hotel Louisa*** is a cosy and comfortable family hotel in Art-deco style, ideally located in the heart of the city at only 50 meters from the sea and the long sandy beach. It's only a short walk to the casino, the traffic-free shopping centre, the " Fishers' Quay " with its numerous and famous seafood restaurants and the lively entertainment and night-life quarter. A short walk leads you to the main train station and the ferry terminal to Dover/Great Britain. 1st: underground parking on 50 meters from the hotel. 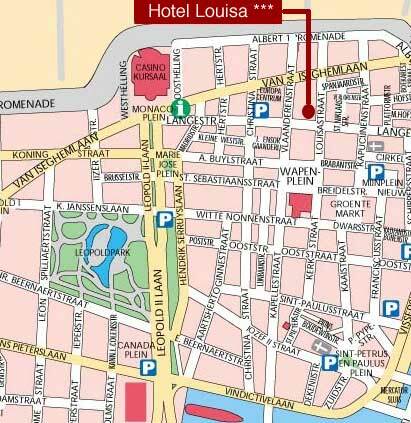 2nd: parking for free only 5 minutes walking distance from the hotel.